The Abbot Kinney Festival, which draws crowds of over 100,000 each year, returns on September 27, 2015 for the 31st year in a row. The festival, famous for its exciting live music, food and vendors, is a fundraiser for the Abbot Kinney Festival Association, a 501(c)(3), grant making organization, that supports community-based organizations in Venice. I think a lot of people come to the festival because it’s such a great time–amazing music, food, and kids activities–but the festival is so much more than that. We are a fundraiser for the Association, which provides grants to local community organizations,” says Donna Humphrey, Chair of the Abbot Kinney Festival Association. “The support from the Abbot Kinney Festival Association came at just the right time for us. We operate on a shoestring budget and this grant will provide us the ability to expand our reach to visitors and locals alike. This would not have been possible without the generous support of the Abbot Kinney Festival Association.“ says Tim Rudnick, Venice Oceanarium, Abbot Kinney Festival Association Community Grant Recipient. 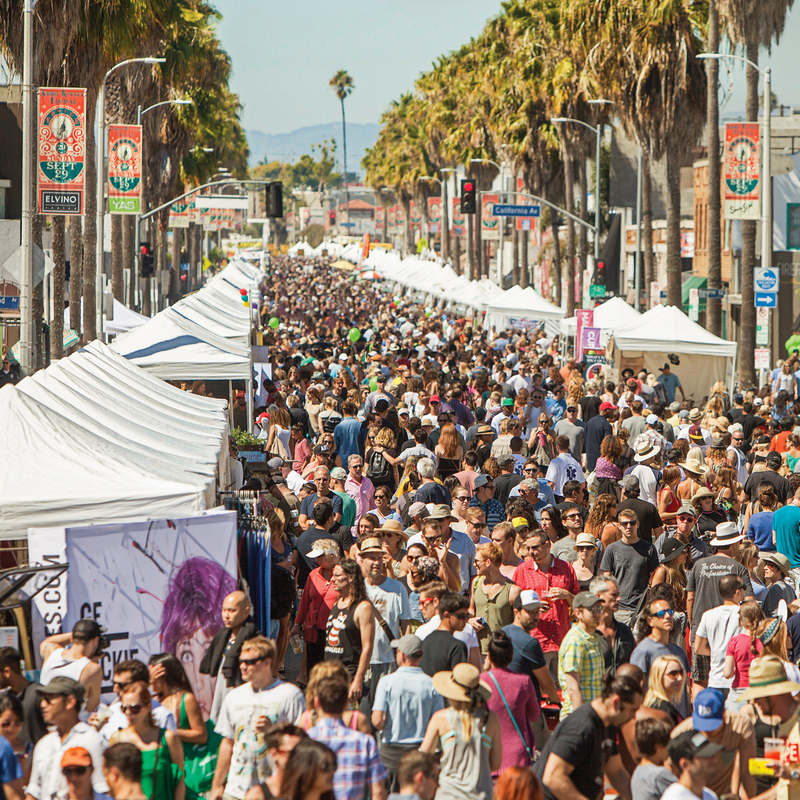 This year’s festival is being held September 27th from 10-6 on iconic Abbot Kinney Boulevard. The lineup includes the Venice Symphony, House of Vibe featuring Chali 2na, and Back of the Hand All-Stars among many others. And, one entire stage at the festival is dedicated to spoken word, with performances throughout the day. Food from such locals as Tarte Yogurt, Kogi BBQ, and Bean and Thyme among many more will also be on offer. Full listings of the Food and Drink and the music lineup can be found on the Association’s website: www.abbotkinney.org. As an addition to this year’s festival, the newly inaugurated Venice Pop Up park will serve as a recharging station for festival goers.